The train didn't stop at Glowny Station in Krakow. That was where it was supposed to stop. And I didn't even know! The announcements in the train were in Polish. 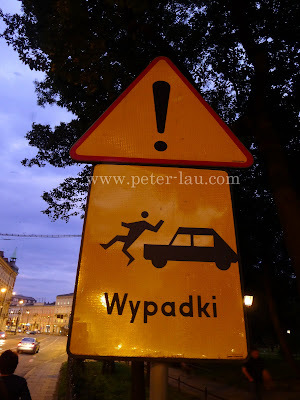 When the train stopped at a particular station (I can't remember where it was), I asked another passenger, who is from Krakow, and he told me that the train will stop at the station before Glowny. Now I had to figure out how to get to Glowny Station because I need to get the tickets for my train to Hungary in advance. My hostel was near Glowny Station too! 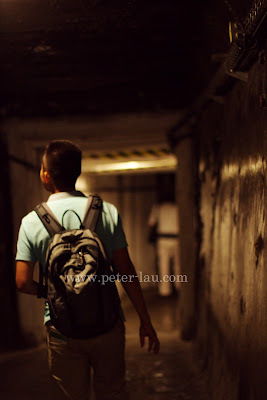 After settling down in the hostel, I took the public bus and went to the Wieliczka Salt Mine. I am impressed with the Salt Mine to say the least. A few "Wow!" moments during the tour. (No one is allowed to enter on their own and all must follow a tour guide.) Had a crash course in Chemistry during the tour as well! Learned more about Sodium Chloride than ever before. The Salt Mine, which is in on the southeast outskirts of Krakow, has been worked for 900 years. That is nine centuries of mining! The touring touring route for visitors is 3.5km and that is less than 1% of the length of the mine's passages! To get down to the first level of the mine, which is 64 meters underground, I had to descend a wooden stairway of 378 steps! The mine actually reached a depth of 327 meters but the tour only allowed us to go 135 meters underground. My jaw dropped when I saw an entire Chapel underground that was craved out of rock salt by the miners. It was huge and had beautiful cravings on the wall. Everything is made of salt. If you touch the "wall" with your fingers and lick it, it is salty. Yes, I did that. Went to Wawel Castle next. And I like this sign! This was quite a depressing day. 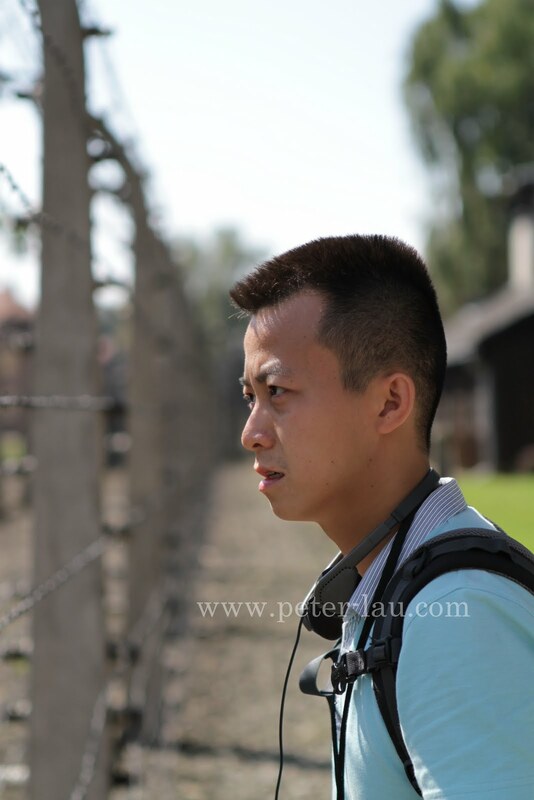 Not because anything happened but because I got to see the worst of mankind in Auschwitz Concentration Camp. 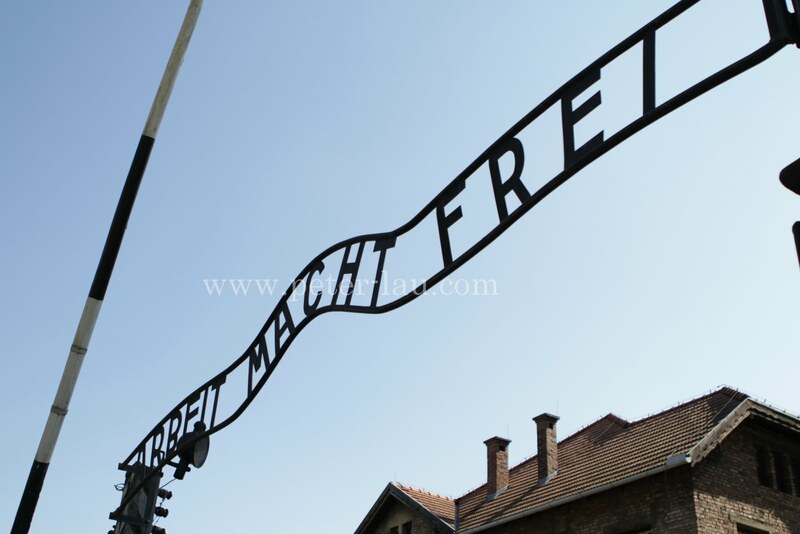 Auschwitz was the largest of the Nazi Concentration Camps during World War II. The use of camps equipped with gas chambers for the purpose of systematic mass extermination of peoples was a unique feature of the Holocaust and unprecedented in history. It was just inhuman and sad. After going through a depressing crash course in History, I went to the Old Jewish Quarter in Kazimierz. 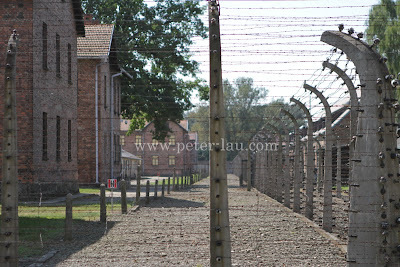 That was the place where Steven Spielberg shot the critically acclaimed movie, Schindler's List. Got food from the Supermarket to settle my dinner and off I went to Glowny Station to catch my train to Budapest, Hungary!!! After visiting the Nazi Concentration Camps, MY LIFE WAS NEVER, EEEEEEEEEEEEEEEEEEE.......................EEE..........................EEVER, THE SAME, AGAIN!! !